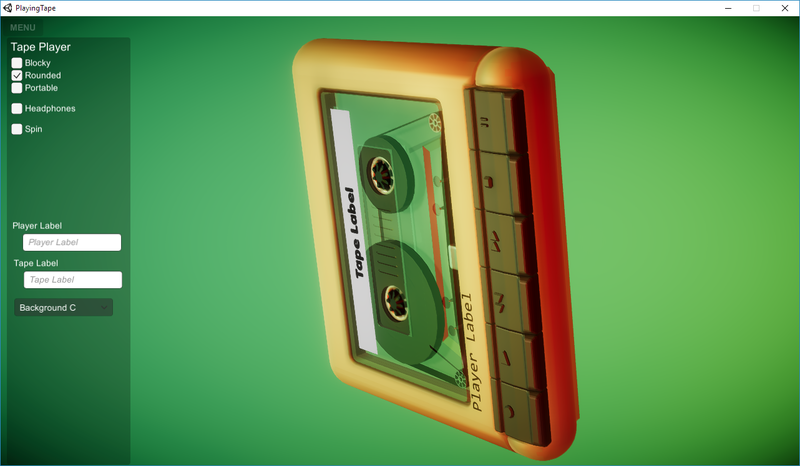 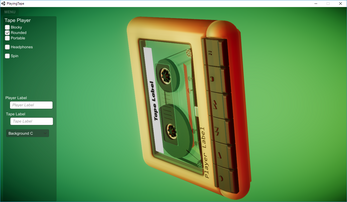 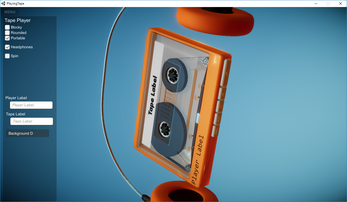 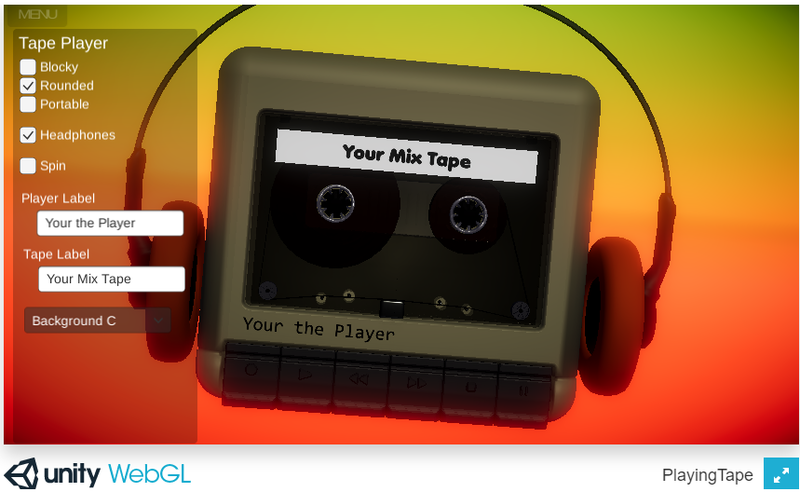 How many music mix videos have a picture of a static mix tape, well here is an animated cassette tape player. A spinning cassette tape player. 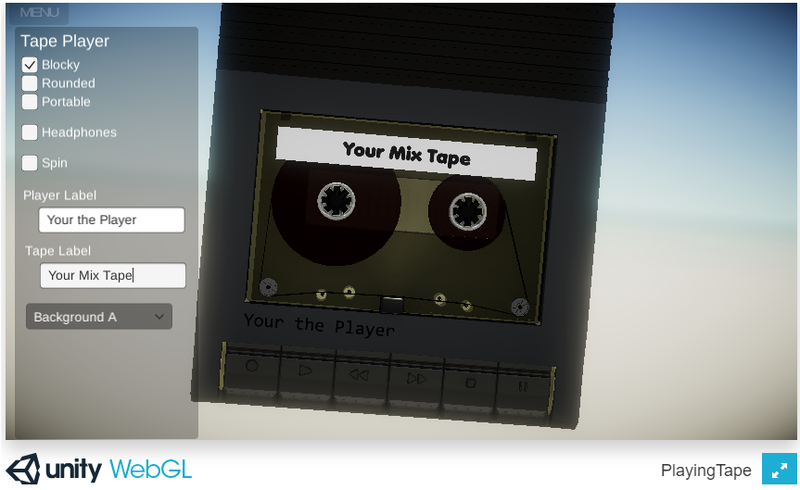 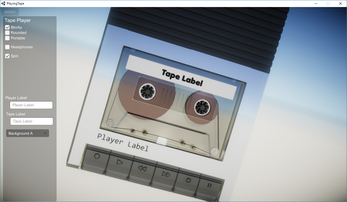 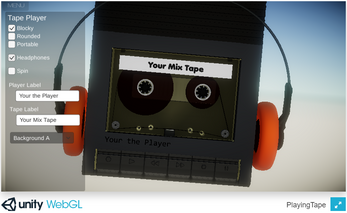 Settable tape and player labels. 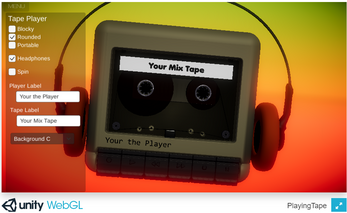 PC, Linux and Mac version coming soon. 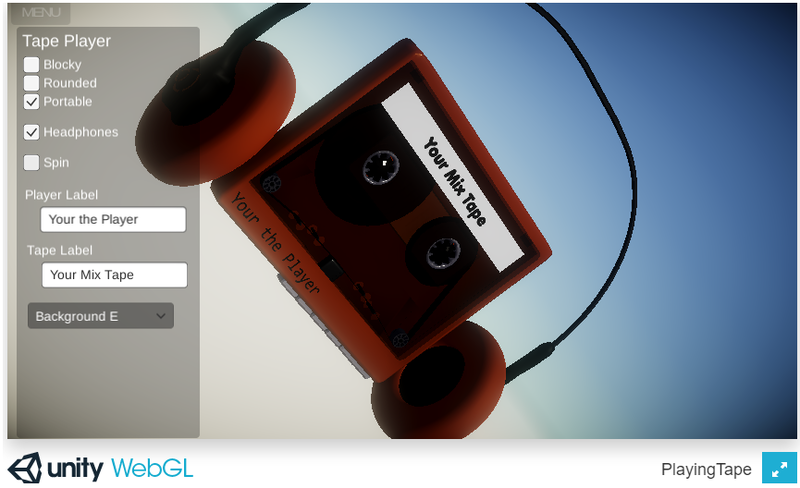 Note: the PC version (depending on hardware) looks a lot nicer than the WebGL version.